I received the new CuteZcute Robo bread cutter a few weeks ago. It is the newest tool from the CuteZcute line. I used it to make a quick little robot sandwich today. The set also come with the little robot pick! 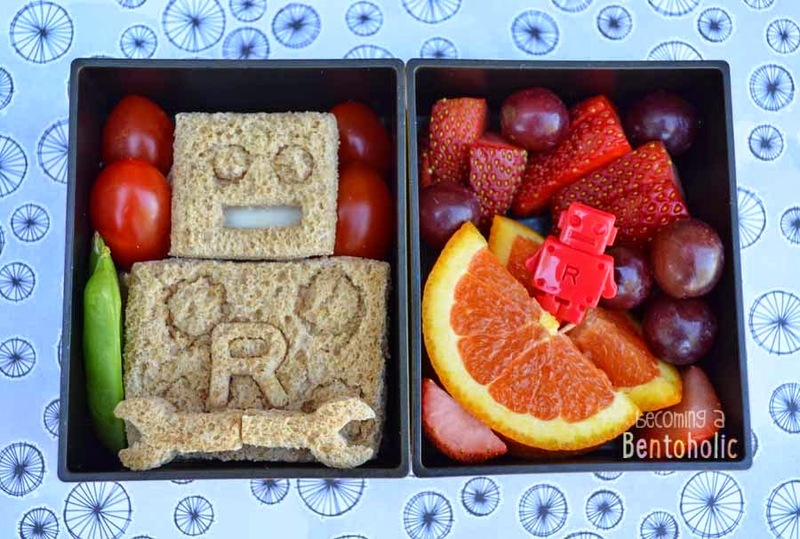 In this bento: Robot sandwich - ham & Swiss cheese on wheat bread, grape tomatoes, sugar snap peas, strawberry slices, red grapes, cara cara orange slices.